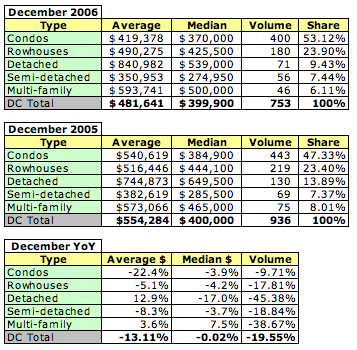 The number of units sold increased 18.27% YoY, 505 compared to 427 in 2006. 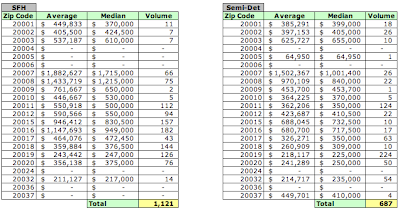 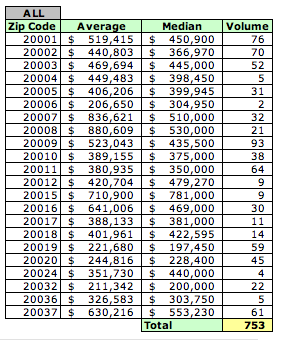 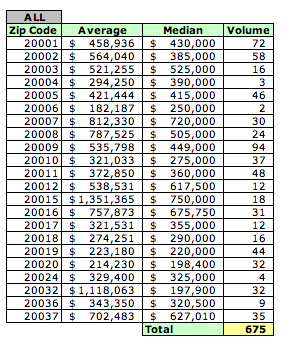 The dollar volume of sales increased 13.61% YoY, $252.1M compared to 2006's $221.9M. 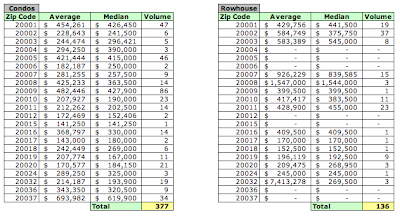 The average sales price for all existing homes was $499,302, a 3.94% reduction YoY. 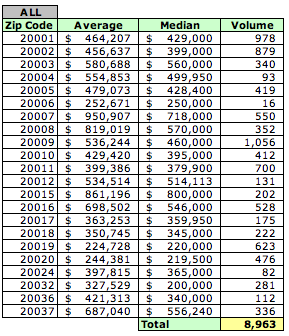 When condos are excluded from the analysis, average prices rose 1.28% to $624,140. 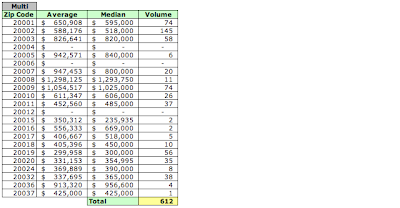 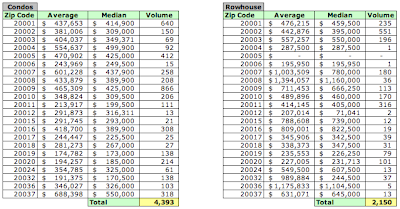 Homes comprised 63.12% of the dollar volume of housing sold. 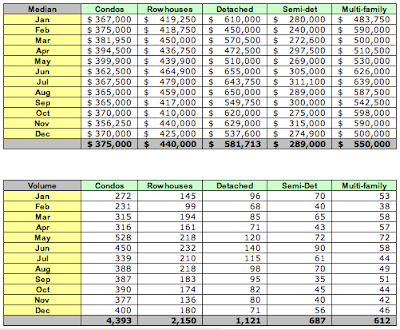 At January sales volumes, there's a 5.7 month supply of condos on the market and 4.7 month supply for homes. 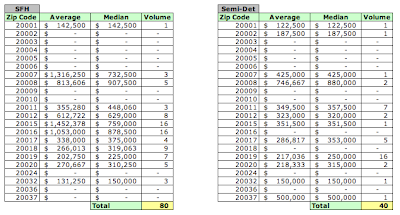 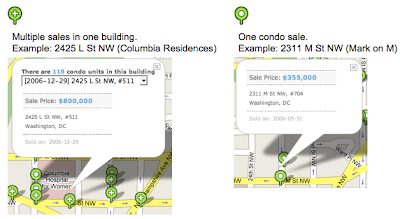 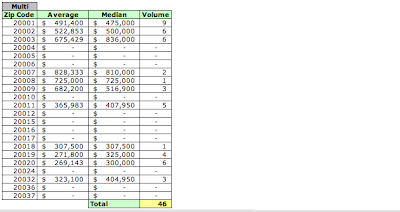 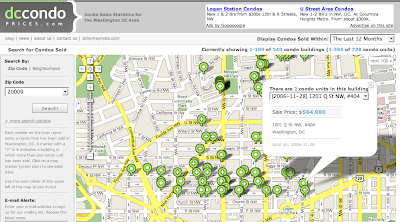 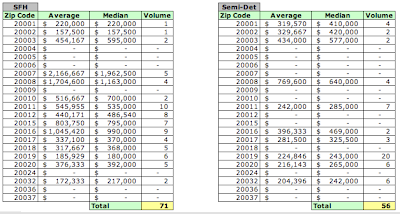 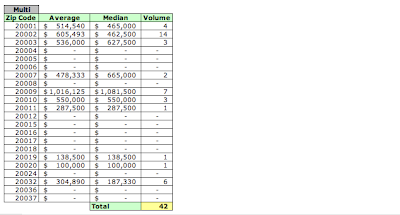 I've just posted DC home sales recorded in December on DCHomePrices.com. 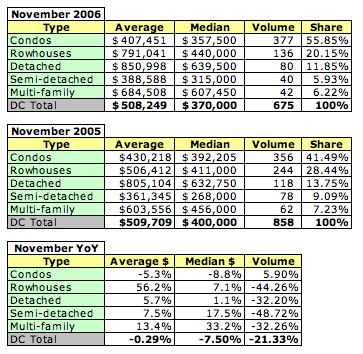 As in October and November, it wasn't a pretty month compared to the same month in 2005. 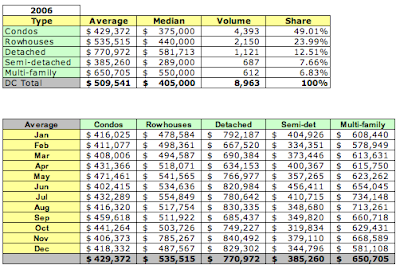 Average and median prices declined again (-13.11% and -.02%) and the number of transactions fell 19.55%. 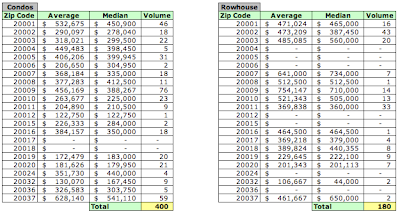 My next posting will be a comparison of 4Q 2006 with 4Q 2005.